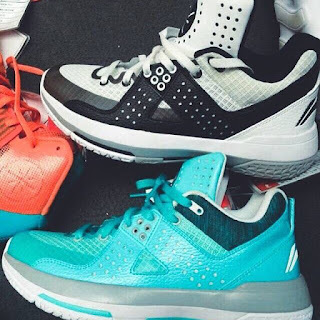 Team models from the Way of Wade will drop soon, as we are teased with these Way of Wade All City 5. We can see 2 colorways here with a combination of mesh, fuse overlays, and synthetic leather which acts as flaps/wings in the midfoot area together with the lacing system which gives some support in the area. The mesh upper provides lightweight and breathability with fuse panels in the toe rand. Not sure what the cushion setup will be as there are no indication like the symbol of Bounse, Cushion, or Cloud so we will just have to wait for that when these are available.